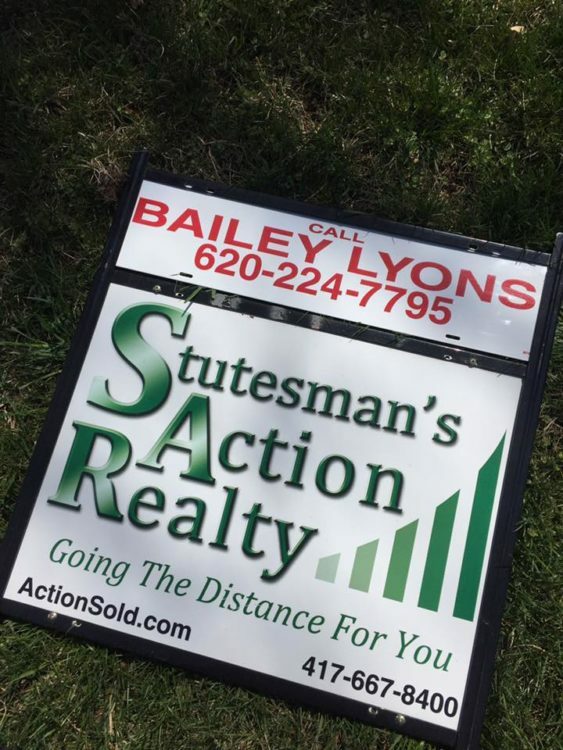 Bailey Lyons is a new agent with Stutesman’s Action Real Estate Agency in downtown Fort Scott. She can be reached at 620-224-7795. Bailey Lyons and husband, Nate have been restoring or “flipping” houses, in addition to property management in their business Lyons and Lyons, LLC. 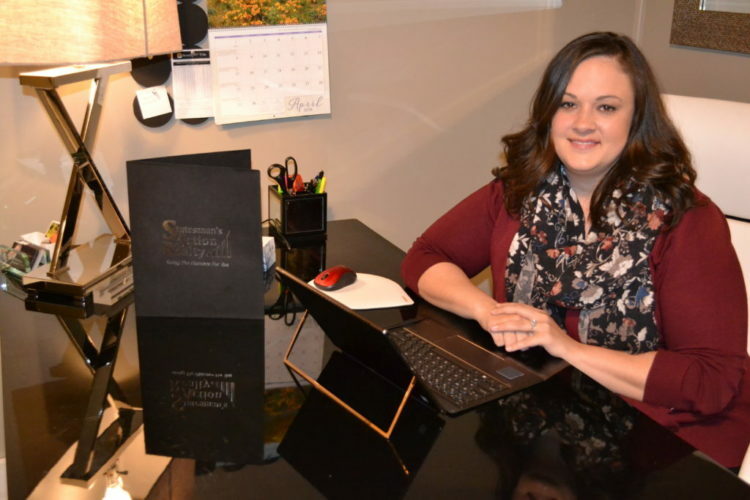 That exposure to the real estate market in her community led to her next career move: real estate agent for Stutesman’s Action Realty. 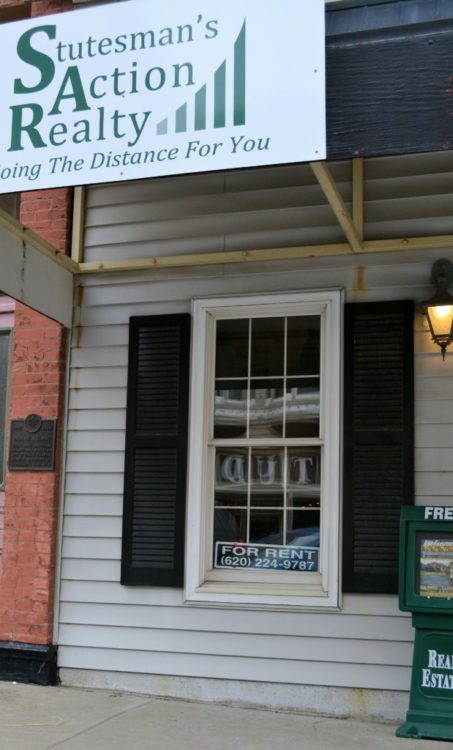 Stutesman’s Action Realty in Fort Scott is located at 119 S. Main. Lyons started with Stutesman’s Action Realty the end of March when she received her Kansas real estate license. She will receive her Missouri license in a few weeks, she said. Lyons earned a bachelor of science in financial accounting from Kansas University and will graduate in May with a master’s in business administration from KU. She has a background in banking which she feels will enable her to help a client with the “financial side of things,” she said. She would be glad to do a buyer’s or seller’s consultation, she said. In addition, Lyons can offer suggestions on how to make a home more aesthetically appealing to sell it, she said. She can help young home buyers view homes they want to update, and offer suggestions, with a “starter home or a forever home,” she said. Lyons can be reached at 620-224-7795. It’s a seller’s market currently in Fort Scott, Lyons said. “Inventory is low, there are more buyers than sellers which is good for negotiations,” Amanda Bourassa, the broker/associate at the Stutesman Real Estate Agency said in agreement. “The median home price in Fort Scott is $90,000, with most of our buyers in the $100,000 to $150,000 range,” Bourassa said. “Within the last year or two, things have taken off economically in Fort Scott,” Bourassa said. Relocation packets and tours of the community are offered through the real estate agency. 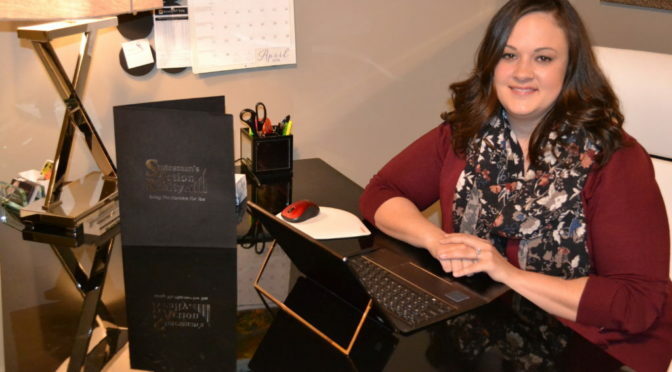 Lyons is the Young Professional League President this year, on the Visioning Committee for the City of Fort Scott, member of PEO, and recipient of the 2016 Young Professional of the Year. In the recent past, she and husband Nate led fundraising for the public skatepark, she is a Lead Bourbon County graduate and was the chairperson for Relay For Life for three years. She and Nate have four children Addison, 16, Jaxon and Jhett, 4, and Lute, four-months-old. In their business Lyons and Lyons LLC, Bailey does the design work and Nate does the labor. “I think there is a gap in market homes, those that are move-in ready for clientele. We are trying to fill in that gap. We do structural work: electric, plumbing and aesthetic stuff,” she said.